Harold, 77 earned a B.S. in chemistry at Penn State, an M.A. at Columbia University, and a Ph.D. at the University of Delaware. He taught chemistry at Utica College for 40 years and was an avid biker, hiker and skier after retiring in 2000. Later that same year we were certified as official Trainman on the ADK RR. Harold and I enjoyed many assignments together working on the train crew…An interesting and somewhat humorous ADK RR incident occurred our first summer working together…on a trip south from Thendara we arrived at the Snow Junction switch…now this switch is about 22 miles north of Utica in the middle of nowhere and it’s the merging of the M A & N tracks and the ADIX track…at this junction a crew member calls the train to a stop, gets off, unlocks and throws the switch and then re-locking the switch and re-boarding the train…Harold realized about half way to Utica that he inadvertently left his keys in the switch…unfortunately he had to drive north after finishing his train duties, park his vehicle and walk about a mile into the woods to get to the switch…of course for anyone else this might have been a big inconvenience but for a guy like Harold that hikes “for a living” this was like taking a busman’s holiday…needless to say every time Harold was on a crew that passed Snow Junction he always took some good natured ribbing at the hands of the crew…I don’t think I’ll ever throw that switch at Snow without thinking of Harold…. He was the President of the Utica Tramp & Trail Club and submitted several blogs which I found interesting reading. Two of his co-authors and fellow club members left the following tributes after his passing. I suspect many of us only wish we got to know Harold a little better. Sadly, I learned more about Harold after his passing than I knew about him in life… He truly was a special person and a great volunteer. 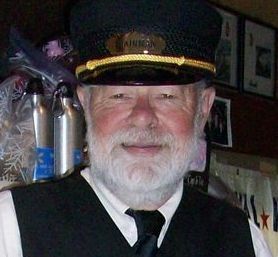 He also wanted any donations made after his passing to go to the ADK RR. 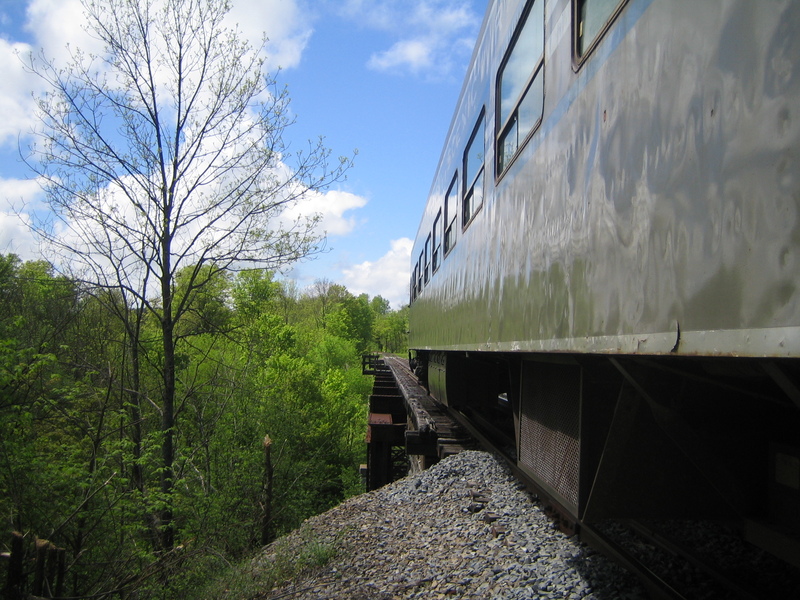 He requested that his family remember him by scattering his ashes at the site of the Kinzua Bridge, a tall railroad trestle near Mount Jewett, PA.